In 1930, Rev. 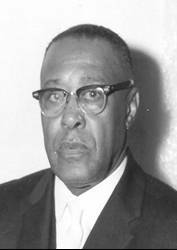 Clarence Mickens along with a group of like-minded believers founded and organized what is now the First Corinthian Baptist Church. In 1932, after observing the progress of the new church, Rev. Mickens resigned as Pastor in order to establish other churches. The late Rev. Kennedy was the new successor to the pastorate. Under his leadership the congregation was able to secure their first permanent church home at 772 North 38th Street. Rev. Kennedy's tenure as pastor was brief as he relinquished his pastorate to return to Virginia. The church was without a shepherd for a short time. Rev. Thomas Cowan, pastor of Warren Street Baptist Church agreed to have joint services with First Corinthian. The Lord blessed the two churches and they merged under the name of First Corinthian. Rev. Cowan died suddenly in 1935. Again the church was without a pastor until early 1936 when the late Rev. Thomas W. Wilson was called as pastor. Within a few months of his administration, the church underwent a "split". Rev. Wilson took the majority of the members and started another church.The dwindling members called Rev. J.W. Thomas as pastor. He accepted. Under Pastor Thomas' leadership the church began to grow slowly. Rev. Thomas' preaching was the ideal answer to bring the congregation to the realization of the work and reward God had planned for them. As the congregation continued to expand, it was necessary to secure larger worship quarters. In September, 1944 the First Corinthian Baptist Church moved to 533-35 N. 36th Street. Within a few years renovations were begun to expand the facility. Renovations were completed in 1953. Later that same year the mortgage was burned and the church was incorporated. The First Corinthian Baptist Church continued to grow under the leadership of Rev. J.W. Thomas. In 1961, the church moved to 51st & Locust Streets. Growth continued to be rapid. The mortgage on this property was burned on Sunday, May 15, 1967. By this time church services were filled to capacity and it was evident that even larger facilities were needed. On Sunday, March 11,1973 there was a grand and triumphant march from Locust Street to our present location at 5101 Pine Street. In 1977, Rev. Silas Thomas, the youngest son of Rev. J.W. Thomas was called as Co-Pastor of First Corinthian. In September of 1982, after pastoring this great church for over 45 years, Rev. J.W. Thomas was called from labor to reward. Rev. Silas Thomas was continued as Pastor after his father's death. The church has moved forward and continued to grow under his leadership. On May 25, 1986 the mortgage for this building was burned. Pastor Silas Thomas' thrust was toward a more spiritual and therefore a more enlightened membership. With this in mind he put forth great efforts to increase and improve our Christian education program. As a result, we had regular leadership training sessions and seminars and teacher training classes. 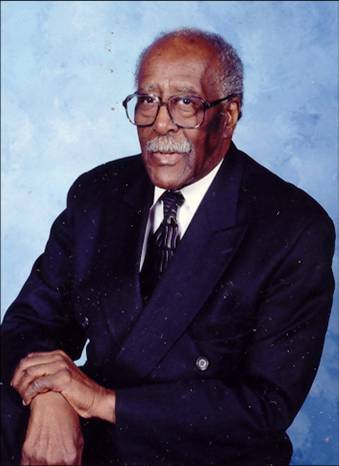 From 1990 until the end of his pastorate, a delegation of Christian education workers was sent annually to the convention of the National Baptist Congress of Christian Education where they attended classes and seminars for a week, and returned to church with new ideas, new techniques and great inspiration. Additionally, in September of those years another delegation represented the church at the National Baptist Convention, USA, Inc. Again the inspiration for spiritual growth was the resulting benefit, both for the delegates and the general congregation who were the ultimate recipients of the knowledge gleaned from the convention. Several ministries and outreach programs were developed under the pastorate of Rev. Silas Thomas. Two additional properties were secured as annexes. On December 23, 2004, the Lord in His sovereign power, called Pastor Silas Thomas home to his reward. The church continued on for two years under the leadership of Chairman Jesse J. Moses. He was assisted in this tremendous undertaking by Reverend Vernel McDonald and the ministerial team of First Corinthian. On Sunday, January 7, 2007, the third generation of Thomas preachers began his pastoral duties. Under the REVEREND DENNIS EARL THOMAS, the church continues to thrive and draw more souls unto the Lord!